The pharmacy is the only place to buy medication other than aspirin and cold medication, which can be bought at the supermarket. Most of the medications require a prescription. Only doctors can write prescriptions. It is very easy to get a doctor's appointment; the co-pay for residents of France is between 18-22 Euro for a regular visit; to see a specialist costs more. Prices for foreigners may vary depending upon their insurance policies. 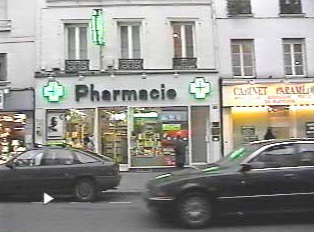 In every district there is a pharmacy open 24-hours. A pharmacist will always be able to provide a doctor's name and address. Besides mainstream medicine, there is a growing interest in alternative health practices such as homeopathy, naturopathy, acupuncture, massage therapy, herbal remedies, organic food, and other forms of energy medicines and healing. "Do You Have Something For a Headache?" "Do You Have Something Else With the Same Effect?"